We will be featuring workshops in numerous areas of ministry, Mass and opportunities for fellowship with a dynamic keynote and other speakers. 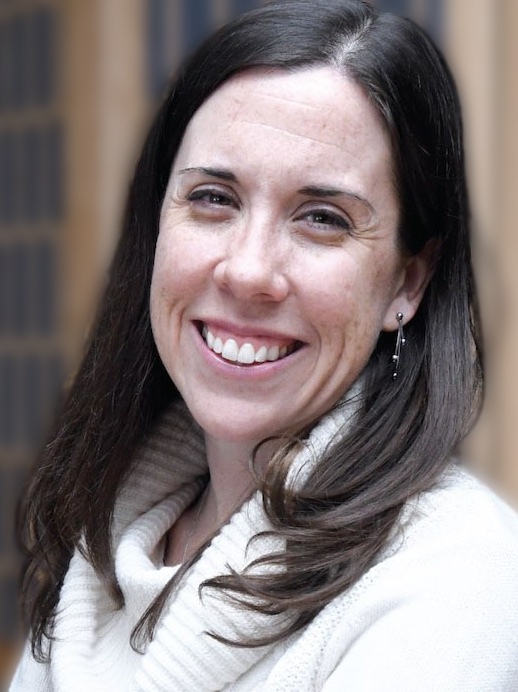 Laura is a wife, mother, writer, and director of the Communities of Calling Initiative at the Collegeville Institute at Saint John’s University. She earned her Master of Divinity degree from Saint John’s School of Theology and Seminary and her bachelor’s degree from the University of Notre Dame. She writes about faith and family life at Mothering Spirit and in her nationally syndicated column for Catholic News Service. Laura is the author of several books, including Everyday Sacrament: The Messy Grace of Parenting (Liturgical Press, 2014). At our baptism, we were anointed to follow Christ as “priest, prophet, and king.” But what does this call mean for us in our ordinary lives and work? While some of us are priests, few would claim to be prophets or kings! Yet in this challenging time in our Church’s history, how does our baptismal call unite us, support us, encourage us, and send us out in the world to serve, speak, and lead? How might our shared calling hold the joy, hope, and strength we need to light our faith on fire today? Jenny Adams joined the staff at Christ Our Light Parish in 2002. A graduate of St. Cloud Technical College with a major in advertising, she had been working in graphic design for a number of years when she began actively volunteering with youth in the parish, which led to a paid position in youth ministry. She earned her master’s degree in pastoral ministry from Saint John’s School of Theology and Seminary in 2013. In 2016, she took on a new role within the parish to develop and enhance communications and assist with various office tasks. She resides in Princeton with her husband, Mike, and two young sons: Davin and Leo. As a youth motivator, Joe Beckman’s mission has been to RECLAIM HUMAN CONNECTION in school communities throughout the world. Joe resides in Minneapolis with his 3 children and exceptionally beautiful/patient/strong/kind-hearted wife, Jess. Ordained in 1979 for the Diocese of St. Cloud, Fr. Steve Binsfeld has always been a student of the liturgy. Having graduated with a bachelor’s degree in vocal music from St. Cloud State College, his musicianship and love of liturgy combined to make him nearly neurotic about good liturgy. In his home parish, Fr. Steve was always involved in many aspects of liturgy: training acolytes, directing the choir, planning liturgies and preparing the environment for worship, to name a few. He brought these experiences to St. John’s Seminary in Collegeville, where his education and formation furthered his love and understanding of Catholic worship. Before and after ordination, Fr. Steve was a member of, and later chaired, the Diocesan Liturgy Committee, worked with the Office of Worship and planned major diocesan liturgies, while also working in his parish. Fr. Steve believes that liturgy celebrated well (not just one that follows the rubrics) and which is prayerful and life-giving, helps faith grow. A lifeless liturgy destroys faith. To that end, his passion is to make liturgy in the parish a life-giving experience. Aaron Carpenter is the director of the Office of Worship for the Diocese of St. Cloud. He has served as the director of worship at St. Joseph the Worker in Maple Grove, Minnesota, for the last 20 years. 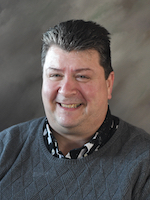 He also serves as the artistic director for Land of Lakes Choirboys in Elk River. He has worked with the choir for 15 years. Originally from LeMars, Iowa, he earned a bachelor’s degree in music with a vocal performance emphasis from St. John’s University in Collegeville. He and his wife, Maria, have three children Noah, Isabella and Emma. Dawn Carrillo has been involved in ministry since 1993 in the areas of formation, liturgy, and spirituality. 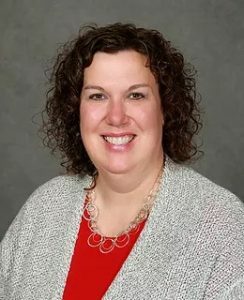 She received her master’s degree from Saint John’s School of Theology and Seminary in Collegeville in 2002, and completed her doctorate from Aquinas Institute of Theology in Saint Louis, Missouri, in 2015. Dawn’s passion and experience lie in serving as a spiritual director, leading retreats, facilitating group processes for formation and spirituality, and teaching, all for supporting each person’s unique journey to God. She is currently the director of the Center for Spirituality and Enrichment at St. Scholastica Monastery in Duluth. Anita Fischer is a member of St. Joseph Catholic Church in St. Joseph, where she resides with her family. She and her husband are on the cusp of an empty nest with their youngest graduating high school this spring. Anita currently serves as a chaplain at the St. Cloud Hospital, where she has received extensive training on compassion fatigue, trauma exposure response, and resiliency for caregivers and ministers. She holds a master’s degree in pastoral ministry from Saint John’s School of Theology and Seminary. You might remember her from her 14 years serving the diocese as the director of the Office of Worship. Patrick Flynn is director of the Office of Marriage and Family for the Diocese of St. Cloud. He taught at St. John’s for five years, St. John’s Preparatory School for seven years and Cathedral High School for nine years. Before all of that, he was in parish and diocesan youth ministry for over 20 years. Patrick has been married to his wonderful wife, Shelly, for 32 years and they have four grown children (a salesman, a nanny, a teacher and a missionary). 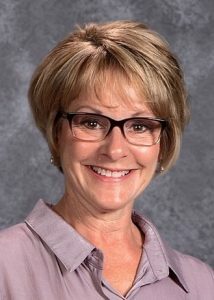 Kathy Janku is presently teaching theology at Saint John’s Preparatory School, after receiving her master’s degree in theology from Saint John’s School of Theology and Seminary in 2010. Since the inception of The Saint John’s Bible, the School of Theology was instrumental in bringing the Bible to area schools and parishes in its programming called “Seeing the Word.” Kathy is a trained presenter of the Bible and has shared it with many different age groups. In her presenting and teaching, Kathy incorporates the illuminations and methods of The Saint John’s Bible and takes her students to the Bible Gallery in the Hill Monastic and Manuscript Library on a regular basis. 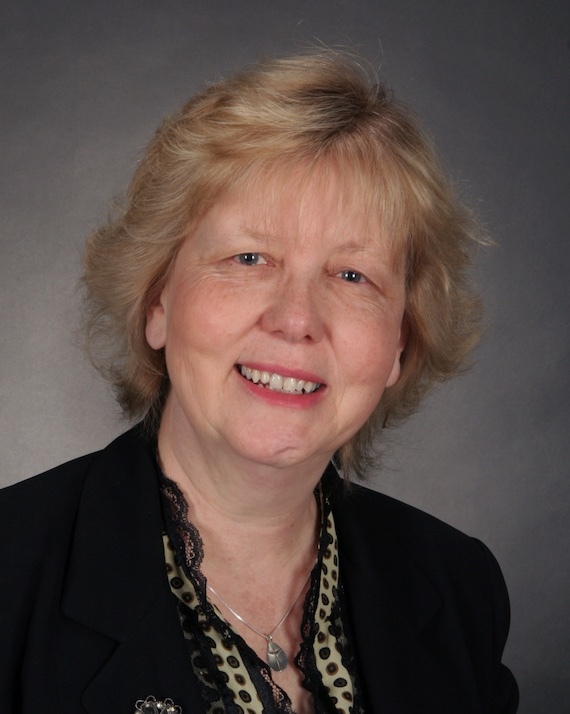 Kathy has been an educator since receiving her bachelor’s degree in education from St. Cloud State University in 1982, teaching elementary, college, adult and now high school students. Kelli Schmitt Kester attended the College of Saint Benedict and graduated from Saint John’s School of Theology and Seminary in 2009. 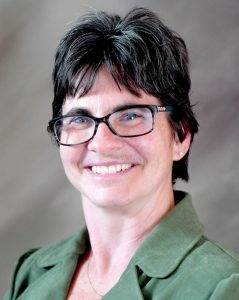 She has worked in human services as an advocate for people who are homeless on the Iron Range as well as at St. Stephen’s Human Services and the Tubman Family Alliance. After working for 18 years coordinating faith formation for children and youth in the Archdiocese of St. Paul and Minneapolis, she shifted to working with people who are elderly at St. Therese Care Center in New Hope, Minnesota. A piece of Kelli’s heart resides in Chimbote, Peru, where she has traveled many times for the ministry of encounter. She holds the tenets of dismantling racism, liberation theology, and Vatican II close to her heart and strives to share these values to increase peace and social justice in our world. Kelli is married and the mother of two adult children. 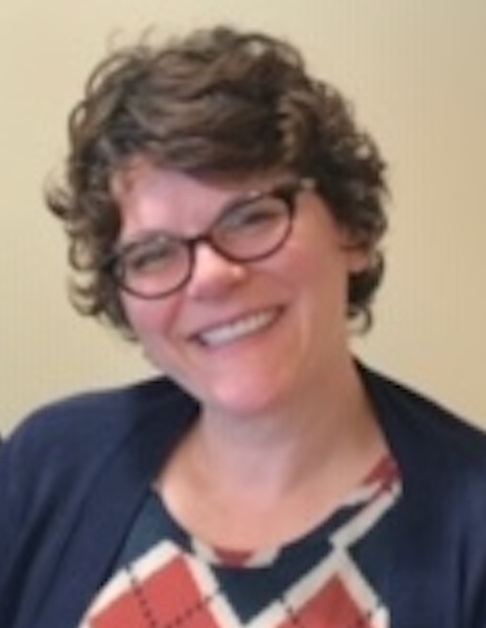 Kay King is the older adults program coordinator and community educator at NAMI Minnesota (the National Alliance on Mental Illness of Minnesota) and has worked for NAMI 10 years. Kay teaches about 4,000 professionals, family members and people managing a mental illness each year in classes ranging from one to eight hours. She has a bachelor’s degree in education from the University of Minnesota. Kay is the former executive director of a retirement community in the Twin Cities that offers both independent and assisted living services. She managed a home health care agency. She also was a hotel and resort manager with over 25 years of hospitality industry experience nationally and internationally. Kay is a family educator who teaches NAMI’s “Family-to-Family” 12-week education course and she is a mental health first aid and youth mental health first aid instructor. Kay is a family member whose grandmother, mother, sister and niece (four generations) lived/lives with a mental illness. 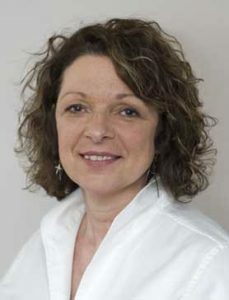 Lori Klapperich is the assistant director of health promotion at the College of Saint Benedict and Saint John’s University. She received her master’s degree in physical education specializing in exercise physiology and health promotion from Montana State University in Bozeman. 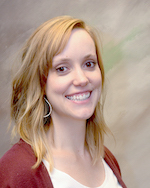 She has a bachelor’s degree in business administration from Augsburg College. Lori worked in public health doing community health promotion for 12 ½ years before coming to St. John’s in November 2000. 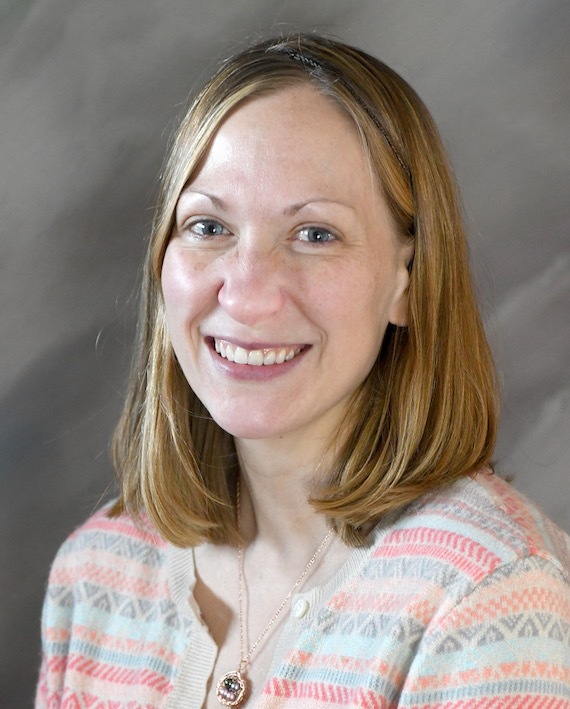 Her job involves supervising and leading all work related to promoting health to students at CSB/SJU, including assessment, training, supervising peer health promotion teams, and developing and evaluating programs. Fr. 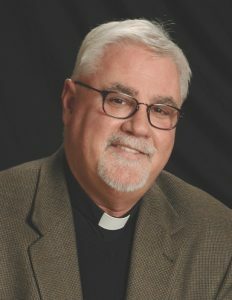 Tom Knoblach was ordained in 1987 for the Diocese of St. Cloud. He has served as pastor of the cluster of Holy Spirit, St. Anthony, and St. John Cantius Church since 2007, and as consultant for healthcare ethics for the diocese since 2000. Brenda Kresky is a wife, mother of four adult children, and lay ecclesial minister. She currently is the director of pastoral planning for the Diocese of St. Cloud. Previous to that position, she served the church for over 25 years in catechetical ministry on the parish and diocesan levels. Brenda received her master’s degree in pastoral ministry from Saint John’s School of Theology and Seminary in Collegeville. Brenda enjoys reading, walking, and telling her husband’s dog to go away. Kathy Langer retired in 2018 after more than 30 years of ministry in the diocese. 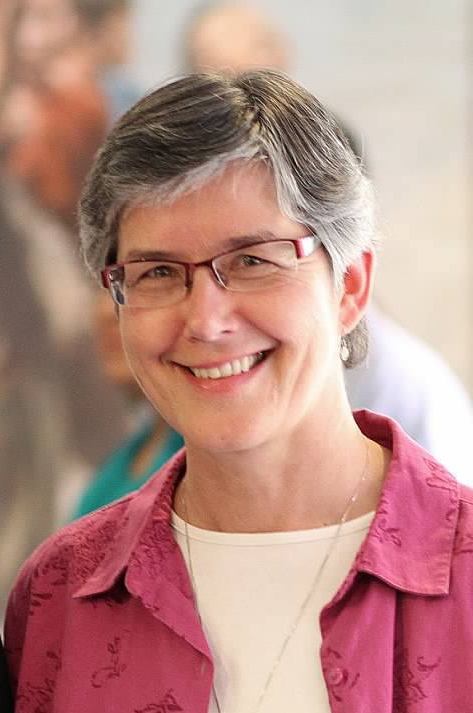 Most recently, as the director of social concerns for Catholic Charities, Kathy worked as an educator of Catholic social teaching, discernment and parish/community organizing. She has her master’s degree in theology from Saint John’s School of Theology and Seminary and has taught as an adjunct instructor. She has a background in nursing, youth ministry/faith formation, campus ministry, spiritual direction and pastoral ministry. Kathy and her husband, Jerry, have three adult children and six grandchildren. 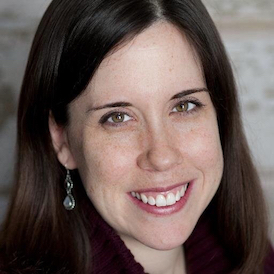 Kateri Mancini is the director of social concerns for Catholic Charities of the Diocese of St. Cloud. 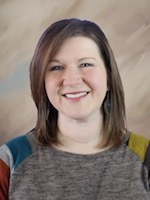 She is also a wife, mother of four unique littles, lover of running, writing and smelling lilacs, and a community member passionate about bringing out the best in one another in order to help us all to thrive. A parishioner of Christ Church Newman Center in St. Cloud, Kateri holds her master’s degree in theology from Saint John’s School of Theology and Seminary in Collegeville; she is certified as a lay ecclesial minister and is an Intercultural Development Inventory (IDI) facilitator. Jane Marrin is the chancellor for the Diocese of Saint Cloud and has worked in our Diocese for the past 30 years. Jane is a member of St. Paul’s parish in St. Cloud. Geralyn Nathe-Evans is licensed in nursing and completed certification in death and grief education in 2000 from the Center for Loss and Life Transition at Colorado State University under the tutelage of Dr. Alan Wolfelt. Upon completing her master’s degree in pastoral ministry at Saint John’s School of Theology and Seminary in 2004, Geralyn was recognized by the USCCB as a lay ecclesial minister at the master’s level in both youth ministry and catechetical leadership. 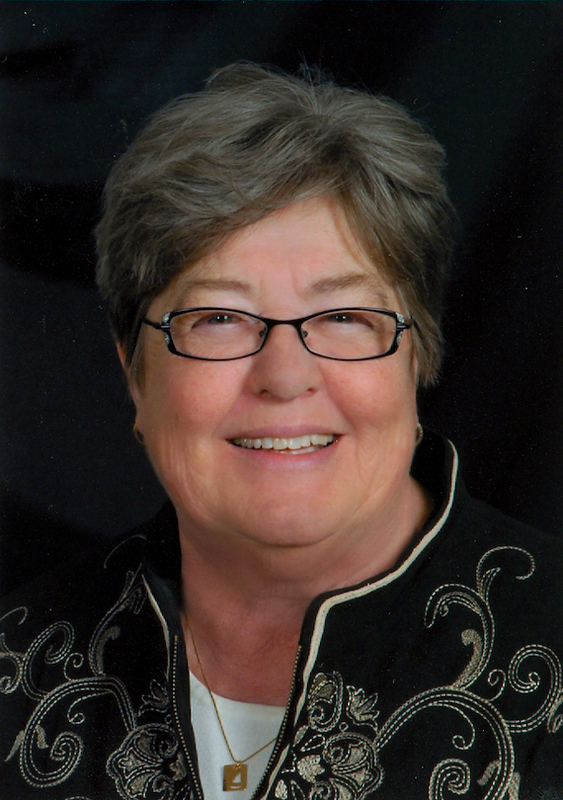 After serving parishes for over 38 years, Geralyn now serves as an educator, coach, retreat leader and consultant. Cindy Pfannenstein is a first-grade teacher and Erin Hatlestad is principal at St. Katharine Drexel School in St. Cloud. They became interested in mindfulness when they first began feeling like they were losing their minds due to the stress and anxiety they were experiencing daily. As they began to search for ways to increase peace and calm, they discovered helpful tools to use with people of all ages in a variety of settings. 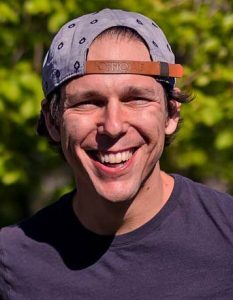 Matt Reichert teaches at the College of Saint Benedict and Saint John’s University in Collegeville. 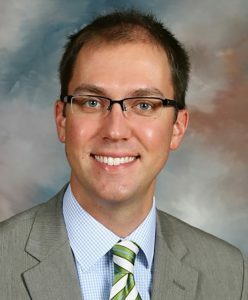 As an educator, Matt has served as an administrator, board member, and classroom teacher at the middle school, high school, and undergraduate levels. A frequent workshop leader, Matt has presented at parishes, diocese, and institutions across the country as well as at NPM and NCEA conferences, the Mid-Atlantic Congress and the L.A. Religious Education Congress. Matt is co-host of the acclaimed “Open Your Hymnal” podcast, exploring the best-loved and most consequential liturgical songs through interviews with composers, text writers and other guests. 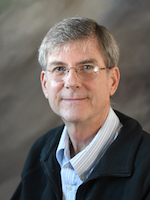 He also hosts the “Ministry Monday” podcast, exploring a variety of pastoral ministry topics, for the National Association of Pastoral Musicians. Matt co-directs the One Call Institute, a program dedicated to the formation and engagement of young people and their advocates to maximize their gifts of music and leadership in service to the liturgy. Fr. Robert Rolfes has served the Diocese of Saint Cloud for more than 37 years — 16 years as vice chancellor, 14 years as chancellor and currently serves as vicar general and moderator of the curia. In addition to his service at the diocesan offices, he also has been pastor of various parishes in the diocese. Kent Schmitz has been serving as the associate director for youth ministry and adolescent catechesis for the Diocese of St. Cloud since July 2005. 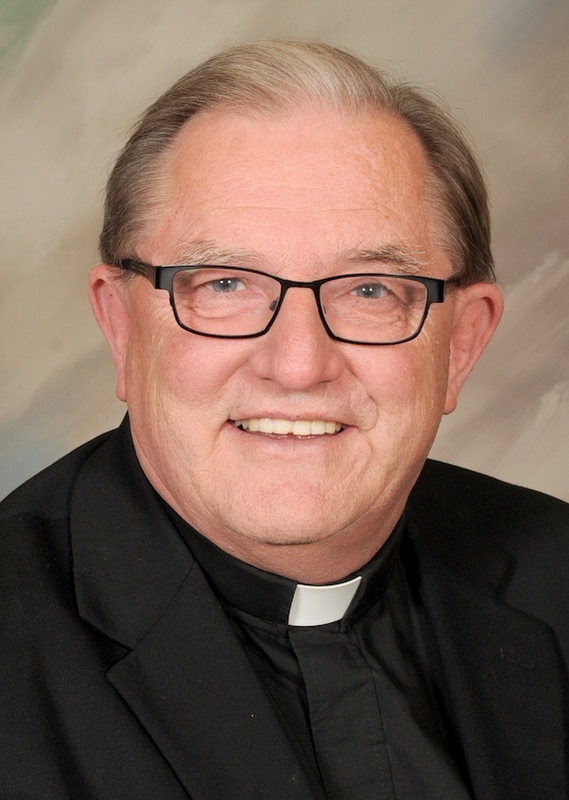 Prior to diocesan ministry, he served in parish ministry for 15 years in southwestern Minnesota. 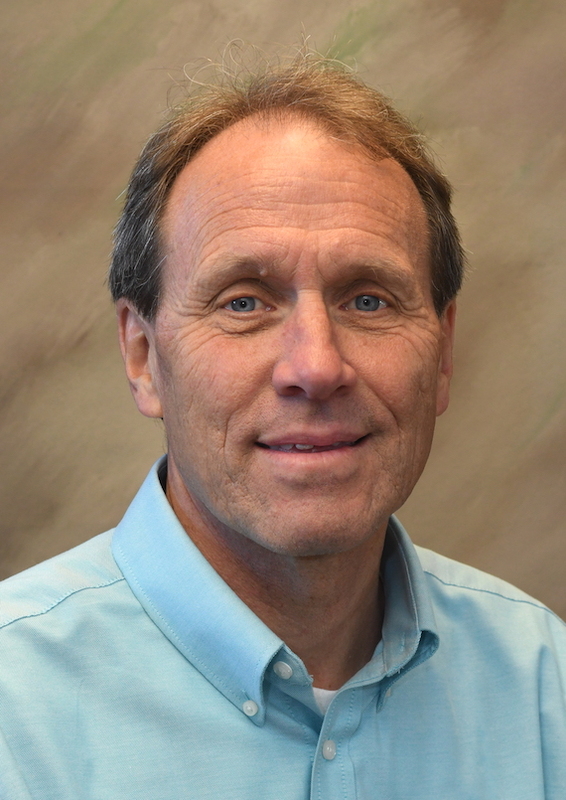 Kent holds a bachelor’s degree in youth ministry and music and a master’s degree in pastoral ministry from Saint Mary’s University of Minnesota. He also received a certificate in youth ministry studies from the Center for Ministry Development. Kent has served on the board of directors for the National Federation for Youth Ministry, holding the offices of secretary and treasurer for the NFCYM. He has been married to his wife, Diane, for 28 years and they have 3 daughters. Kent enjoys gardening, playing guitar, cooking and spending time with family. 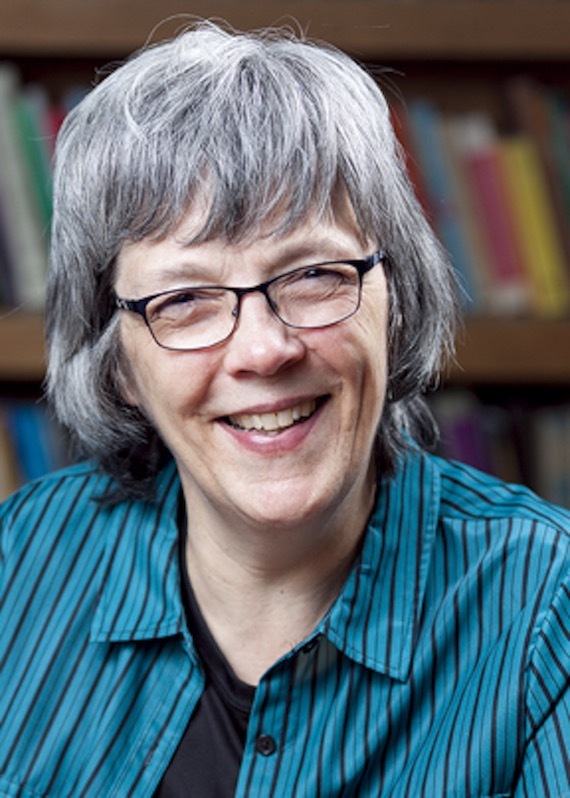 Dr. Barbara Sutton is the director of field education and ministerial formation and a faculty member at Saint John’s School of Theology and Seminary in Collegeville. She has served as the curriculum director and editor for the Seeing the Word project, an educational mission of The Saint John’s Bible project. 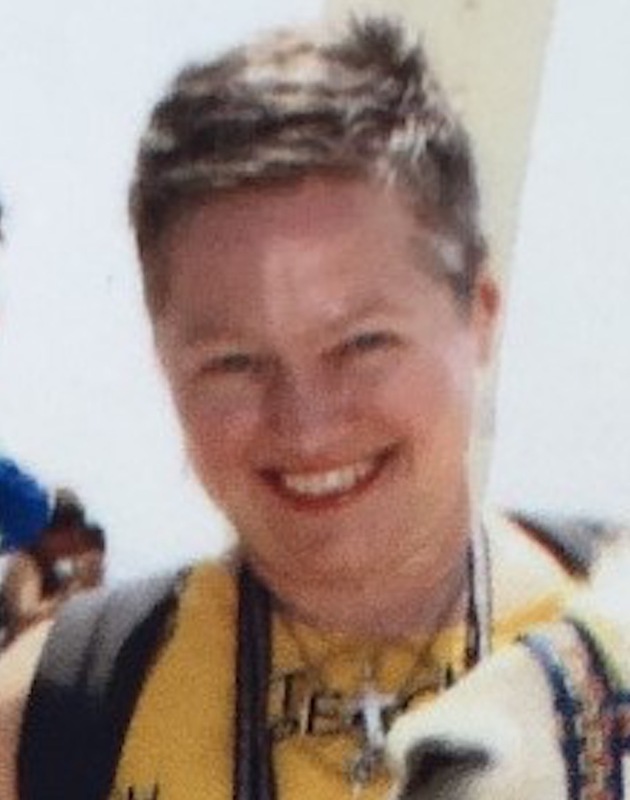 Over the past several years she has led retreats on “Praying with Imagination,” offering workshops, and developing reflections on the illuminations of The Saint John’s Bible. She is serving as a consultant to Sadlier Religion in the area of prayer, imagination and catechesis. She has also ministered in hospital, parish and diocesan ministry in Texas, Florida and West Virginia in the areas of chaplaincy, catechesis, parish leadership and pastoral planning. She holds a doctor of ministry degree from St. Paul Seminary School of Divinity in St. Paul. 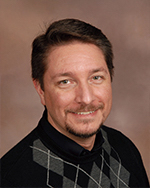 Joe Towalski is director of communications for the Diocese of St. Cloud and editor of its monthly magazine, The Central Minnesota Catholic. He has worked in Catholic communications for 27 years and has served on the board of directors of the Catholic Press Association of the United States and Canada since 2012, including as president from 2017 to 2019. Joe and his wife, Dianne, have two children and are members of Sacred Heart Church in Sauk Rapids. 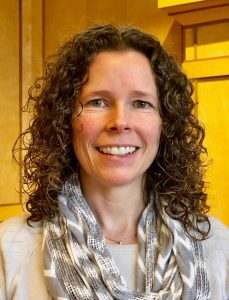 Becky Van Ness is director of the spiritual direction program at Saint John’s School of Theology and Seminary in Collegeville. She formerly taught at Cathedral High School in St. Cloud for over 20 years and is an oblate of Saint Benedict’s Monastery. 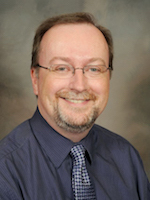 Tim Welch’s passion is in the integration of media/technology and catechesis for the Diocese of St. Cloud. With 40 years of experience at the parish and diocesan level, he is constantly seeking ways of journeying with others to implement new technologies that can serve ministry and catechesis. He is the author of Technology Tools for Your Ministry: No Mousing Around! (Twenty-Third Publications) and a former columnist for Religion Teacher’s Journal. 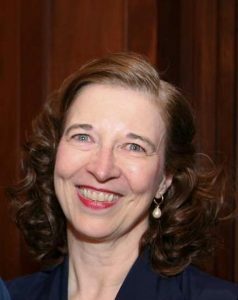 Laurie J. Youngers is the director of music and liturgy at St. Mary’s Church in Alexandria. She received her bachelor of arts degree in vocal performance as well as broadcast journalism, from Briar Cliff University in Sioux City, Iowa. After moving to Minnesota in 1997 and bouncing around at a couple parishes for a couple years, she has now been at St. Mary’s since 2002. A self-described, “lifelong learner who doesn’t like the classroom,” Laurie initially received her certification in pastoral liturgy and music from Sister Joyce Ann Zimmerman, C.PP.S., and Sister Kathleen Harmon, SNDdeN. Laurie has also continued taking classes and receiving certifications in music and liturgy from Boston College, Berklee School of Music, St. John’s University, and NPM. Bailey Ziegler is the director of human resources for the Diocese of St. Cloud. 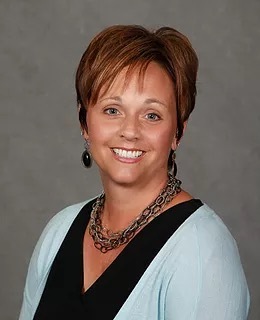 She earned her bachelor’s degree in business administration from New Mexico State University, her master of divinity from Saint John’s School of Theology and Seminary in Collegeville, and is certified in human resources through the Society for Human Resource Management (SHRM). Burnout is a common word in our vocabulary and, more so, a common experience. What do we do and where do we go when we’ve reached the end of our rope? Our vocation includes tremendous stress and the weight can be overwhelming. How do we cope? Discover how stress works, discuss practical strategies to address stress-related ministry issues, and encounter spiritual practices that can help maintain balance. Learn about mental illnesses, the impact of negative attitudes and five things each of us can do to make Minnesota a better place for people who experience a mental illness. This class is for faith communities interested in learning about mental illnesses and helping to change attitudes towards mental illnesses. Hurt, anger, resentment, bitterness….we have all struggled with these issues at one time or another. Often relationships can become unhinged as a result of these. But usually the real culprit underlying all of these problems is a lack of forgiveness. Why do we hold on to these and not forgive? God wants to restore our relationships. God wants to offer us forgiveness and wants us to offer forgiveness to others. The Good News is that we can be set free, and it very often begins with forgiveness. To be bereaved calls one to heal well in order to live well and care for others in whole, health and healing ways. This workshop will explore the needs of you, personally and as the caregiver. Providing insights into your own loss and needs will provide you the foundation to nurture your own healing. Special attention will be paid to the spiritual connectedness of our loss and reconciliation in our lives. Participants will be given tools for personal support as well as insights into helping others. As ministers, we are often focused on others. It seems there isn’t time to focus on personal needs and boundaries so we can remain energized in our personal and work lives. In this presentation, we will learn more about burnout, compassion fatigue, and trauma exposure response and the effect it can have on ministers’ ability to be resilient. This is an opportunity to focus on ways to be good stewards of the gift of yourself within your ministry. In our everyday lives we see and experience bullying, threats, and shaming. Are we becoming desensitized and complacent? Do we participate or stand up for the “little ones” ? We will examine culture and how it informs our religious practice as well as how religious practice informs our view of culture. Are you interested in new and creative ways to pray with children or with your family? In this session, participants will be introduced to several prayer formats, including creative prayer activities for the family. Cold makes one shiver; heat makes one sweat. The human body strives for homeostasis – all functions in balanced health. The Body of Christ is also seeking that balance in a changing environment. We will consider some ways to integrate our anxieties and comfortable routines into a new way of being missionary disciples. The Saint John’s Bible is the first handwritten illuminated Bible in more than five hundred years. Sponsored by Saint John’s Abbey, Collegeville, MN, it is meant to support the evangelizing mission of the Church for the 21st century. The workshop will teach the visio divina prayer process which is a Latin term meaning “divine seeing,” which is grounded in the sixth century Benedictine practice of Bible reading called lectio divina. A treasure waiting to be discovered! Come and see how you can incorporate the wonders of The Saint John’s Bible into your teaching of art, faith formation, history, and other disciplines. The illuminations of the St. John’s-commissioned Bible lend themselves to the arts and to Christian reflection in ways that will light your own imagination and that of your students. 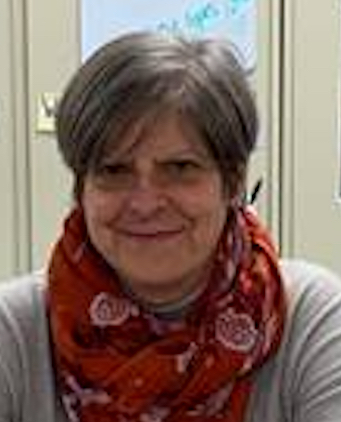 Kathy Janku will share how she has made use of this international, yet local, treasure in her teaching of people from Kindergarten through adults. The Beatitudes in the Gospels of Matthew and Luke are some of the most well-known and well-loved words in Scripture. Pope Francis says that to really live the Beatitudes, we must “go against the flow.” What was Jesus really saying to his followers in these beautiful passages? What does it mean to live the beatitudes today, and how do we go about it? The participant will be guided through a series of activities to assess, prioritize, and develop action steps, focusing on individual goals. They will become familiar with definitions and key terms, understand the myths and realities of behavior change, learn how to develop goals based on their values and develop a plan that makes sense for them. Human connection matters. Joe will address the importance of connecting with youth and the need youth have for making connections. Educators have one of the most important roles in making a difference in the lives of young people. We are all called by God, in multiple ways, through all seasons of life. But how do we live out our vocations, practically speaking? In this workshop we’ll explore the particular people, places, and work to which we are called—and how God speaks to us through Scripture, sacraments, and prayer to sustain us in our vocations. Leave with practical tools to support your own calling and the callings of those you serve. Those who are entrusted with care for children, youth and adults are certain to experience the death of others. This workshop will explore how we are honored and responsible to respond when death occurs in our schools, parishes and communities. This workshop will support and provide you skills to equip you to lead with compassion and pastoral care. The opportunities in our daily lives to care and support the bereaved are endless. Responding with care and compassion will be explored with practical and caring ideas for implementation. As mental health concerns increase in our complex daily lives, it is more important than ever to have tools to help find inner peace and build resiliency. This workshop will provide participants simple techniques to use in their personal lives and classrooms, helping them to thrive and find calm every day. In early 2019 the United States Catholic Bishops wrote a pastoral letter entitled “Open Wide Our Hearts: the Enduring Call to Love,” in which they spoke of the reality of racism in our country and our Christian call to help eradicate the sins of racism in our nation, our communities and our churches. Come learn more about the bishop’s message against racism, as well as hearing the stories of community members who have felt the effects of racism in their lives. Participants will also have the chance to reflect on their own experiences of race, as well as discuss tools for helping our parishes or groups unpack this important letter on a very important issue! In this session, we will look at the importance of building relationships with strangers and friends and how it directly impacts our ability to be radical in extending Christ’s welcome. All ministers, whether secretary, pastor, liturgical minister, catechist or others will be able to apply radical hospitality to their ministry. Three experienced church communicators highlight best practices for sharing important information with parishioners, particularly during times of crisis or change. Participants in this workshop — moderated by Joe Towalski, director of communications for the Diocese of St. Cloud — will have an opportunity to ask questions and share their own experiences. Explore the Order of Mass and the Three Judgments one uses to choose music – Liturgical, Pastoral and Musical and the different categories of music – acclamations, dialogues, hymns, psalms and other spiritual songs. We will also explore how to shape liturgy for seasonal worship both for Sunday and school and how the relationship between pastoral musician and priest makes it “all” work. We will also touch briefly on Copyright, CLOW, School Liturgies, Resources. We are still asking questions as we continue to plan for Area Catholic Communities (ACC). Which masses will be held where? When will the changes occur? What changes might we see? It is important that we ask the right questions of the right people. This panel will share some of the questions that their planning councils are wrestling with as well as what their hopes are for the future of ACC’s. Brush up on some human resources fundamentals and explore new areas and concepts of staffing, compensation, and employee relations. There will be time for conversation and question and answers with other parish staff members on topics of interest and need, particularly taking into account the recent formation of area Catholic communities. This session will be ideal for pastors, business managers, and parish office staff who handle a variety of human resources tasks such as new hire orientation, payroll, and benefits. Dr. David Walsh says, “Whoever tells the stories defines the culture.” Communications 101 says “If we don’t tell our story, someone else will.” Basic Collaboration Skills says, “Keep people in the loop!” How are we telling the Stories of Jesus Christ, our parishes, and God’s activity in our lives? This session will look at some of the why’s and how’s of using technology in parish communications and faith formation. We will also dream about ways of engaging our youth and young adults in this important ministry. We need to tell our story, and tell it well, especially in light of the challenges of area Catholic communities. This session will address the organizational structure of a parish and the role of the pastoral council in that structure. Participants will gain an understanding of what it means to serve as a member of a parish pastoral council. There will be time for true dialogue with the presenters. If you have concerns or questions regarding your current or future involvement with your pastoral council, you won’t want to miss this presentation. Ministry to, for, by, and with youth and young adults is an ”all parish, all community” practice in ministry. Participants will review and discuss successful approaches and models of ministry that encourages full community engagement. All are welcome to join Sr. Michelle L’Allier, OSF, as she leads us in a short retreat focused on our baptismal call and how we respond. The retreat will take place on Sunday, September 29, 2019 from 4:00 – 6:00 p.m. in the Saint John’s Abbey Chapter House. Sister Michelle L’Allier, a Franciscan Sister of Little Falls, comes to us from the Franciscan Welcoming House (the old Holy Spirit Convent in St Cloud) where she lives in a mixed community of Sisters and young adult Franciscan Community Volunteers. Currently she serves at the Franciscan Life Center based out of Little Falls by offering retreats, workshops and spiritual direction, as well as in Companioning Ministry as she accompanies persons in vocational discernment. Come together in this social gathering hosted by Bishop Kettler! Relax at 6:00 p.m. in the environment of Br. Willie’s Pub and enjoy a pint of beer and a brat as you share in conversation, laughter, networking and just plain fun! There may even be some karaoke, who knows?? ?